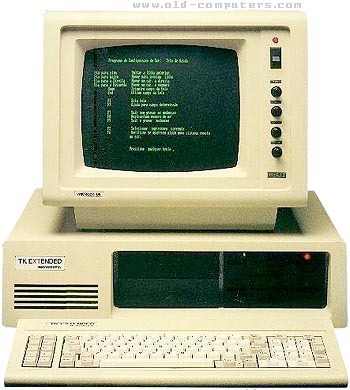 TK Extended was a local version of PC-XT, launched by Microdigital in 1988. To minimize the technological gap between American and Brazilian models, the manufacturer offerred an upgrade card, named Cometa 286 (Comet 286), which goal was to replace the processor with a 7.15 MHz 20286 Intel processor, and also a 20287 math co-processor. This model marked the end of Microdigital, the same manufacuter of TK family, which included Sinclair ZX-81 (TK-85), Spectrum (TK-90 and 95) and also Apple licensed products adapted to meet Brazilian laws regarding national content. Thanks to Roberto Isiri for information and picture. see more Microdigital TK EXTended Ebay auctions !